Does the GT-i9500 has a Super AMOLED HD Plus display? 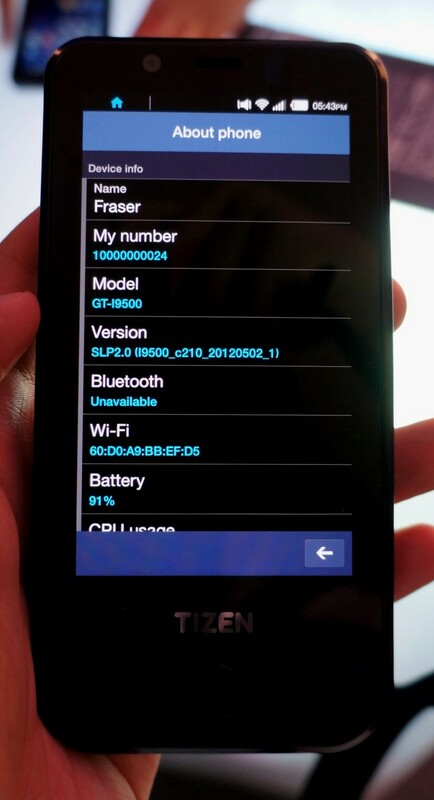 Yes guys you’re reading it right according to our sources the GT-i9500 does have a Super AMOLED HD Plus display! The GT-i9500 is the Tizen developers device that Samsung has handed out to developers on the Tizen Developers Conference in San Francisco. The internal code name for this device is Fraser. Even that its impossible to discover the pixels (unless you have a 20/20 eyesight) on a regular Super AMOLED HD display on 4.6/4.8 inches, still Samsung received some negative feedback about it as they’ve used a Super AMOLED HD panel of 4.8 inches on the Galaxy S3. The reason why Samsung has chosen to use a Plus variant for a developers device can be that this is a sort of a test as we believe that the production process of a Plus variant is more difficult and isn’t ready yet for mass market devices like the Galaxy S3. Keep in mind that the first device with a Super AMOLED display was the first bada device, the Wave (GT-S8500). This was to attract developers and users. We believe that Samsung will do the same for the first Tizen device for consumers. Oh man the screen looks really sharp and vivid. It is not even flickering like the Pentile one. Both devices could be TIZEN phones…. if the GT-i9500 is the model they handed out then couldn’t the GT-i9800 be the release? Really, any idea what the i9800 might be? The number makes it seem like a super high-end. Nope N series = Note. So what type of phone will the I9800 be? Note 2?